Now I can’t say whether that’s true or not, but as often as this question is asked, it’s clear that with regard to stories of this type, that may be the biggest Mystery of all. Is it a Mystery or Is It a Thriller? As I understand it, a Mystery starts with a crime that’s been committed and the story is about the sleuth finding the perpetrator and solving the crime. Take, for example, my cozy mystery mini. 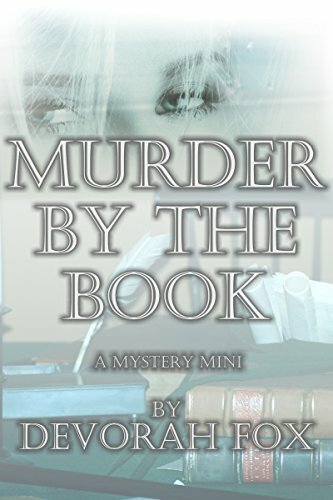 Murder by the Book begins, appropriately enough, with a murder, and although there’s a hint of romance, the story is about figuring out whodunit. In a Thriller, the main character is in peril and has to find the perpetrator in order to save his or her own skin. It could be said that The Zen Detective is a Thriller as well as a police-procedural mystery. Mansion’s investigations result in his being targeted by the criminals. The same could be said for another mystery-genre novel of mine, Detour. The hero of the story, Archie Harlanson, stumbles on a nefarious plot. He seeks to find out more which only draws the attention of the conspirators who don’t want him to interfere with their plans. 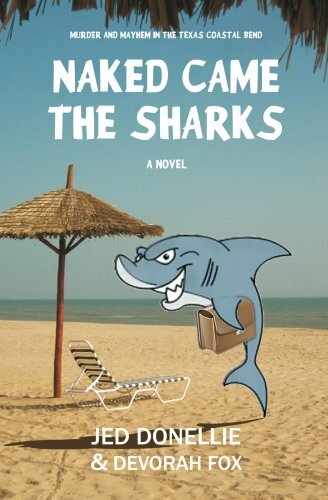 So, too, does amateur sleuth Holly Berry’s prying make her a target in Naked Came the Sharks, Murder and Mayhem in the Texas Coastal Bend. Here’s another take on Mystery or Thriller? The author opines that Mysteries are primarily puzzles—brain teasers—and that Thrillers are more about engaging emotions, but without any reference to which character is in peril. So, you might ask, where does that leave Suspense, which is often categorized as part of this genre? Suspense is similar to Thriller in that the main character is in jeopardy. The difference is in the timing of the threat and the protagonist’s awareness of it. In a Suspense story, the main character becomes aware of looming danger gradually. The reader knows that trouble lurks before the protagonist does. For example, the reader learns that a drink has been poisoned and then waits breathlessly to see if the threatened character will discover that in time, or, if not, whether help come soon enough to stave off death. Why is this important? For readers, a Mystery, Thriller, or Suspense label helps to choose the right book. Do you want to solve a puzzle along with the main character, or are you less concerned about figuring out how the crime and more about the hero who arrives at the answer? Writers need to understand the difference in order to structure the book to make a satisfying read. That’s not to say that elements of all three—Mystery, Thriller, Suspense—aren’t present in these types of stories. It’s a question of proportion. In crafting a Suspense story, for example, a writer should understand the vital importance of timing in order to achieve the greatest impact.